History: I was walking through the market in Agrahbah on day when a cart caught my eye. Sitting on the cart were wood creations. 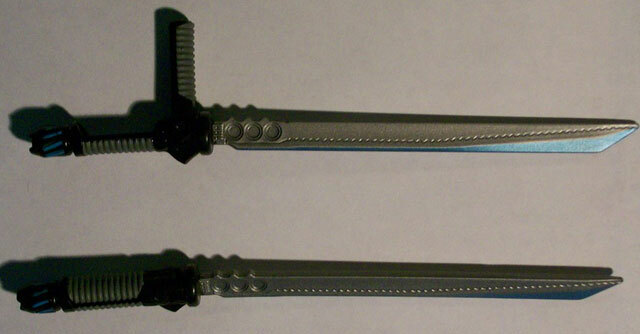 I saw the design of a normal tonfa and thought that it had a unique design. I bought the tonfa at the cart and carried it home. Then got to working on crating a stronger weapon but with the tonfa's unique design. I managed to cover the wood in leather. But before I did that, I inserted a blade in each. Because this weapon is new, it hasn't done anything.